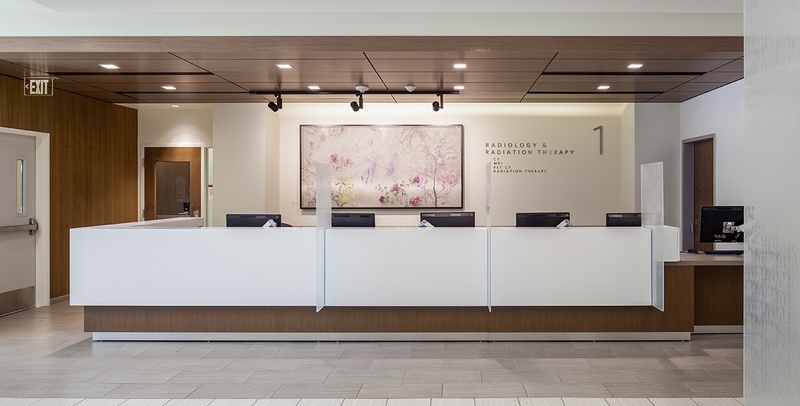 The recently completed Stanford Cancer Center South Bay is a world-class care facility in a patient-friendly setting. With the goal of creating the optimal treatment environment, patients were asked to provide input to help design the kind of facility that would be conducive to healing. The result: a state-of-the-art medical building, arranged for comfort and efficiency, which offers coordinated, convenient, patient-centered care in a single location. Interface provided several sustainable solutions to better serve the Center, including variable air volume fume hoods, chilled water and hot water pumps, and a variable air volume supply/return system that ensures optimal pressure and temperature is maintained throughout the building.